Why is Es Torrent so different to other beach clubs in Ibiza? It is a quiet oasis for an older, upscale crowd. More entrepreneurs than footballers, more expensive watches than tattoos. If you want, the Club 55 of Ibiza. Unpretentious and simple, but the island insiders and a chic crowd love to come here for the extraordinary fish dishes. Is the beach also nice? Yes, it is a very tranquil location with Dedon beach chairs and attentive service. No music. What is the best schedule at Es Torrent? 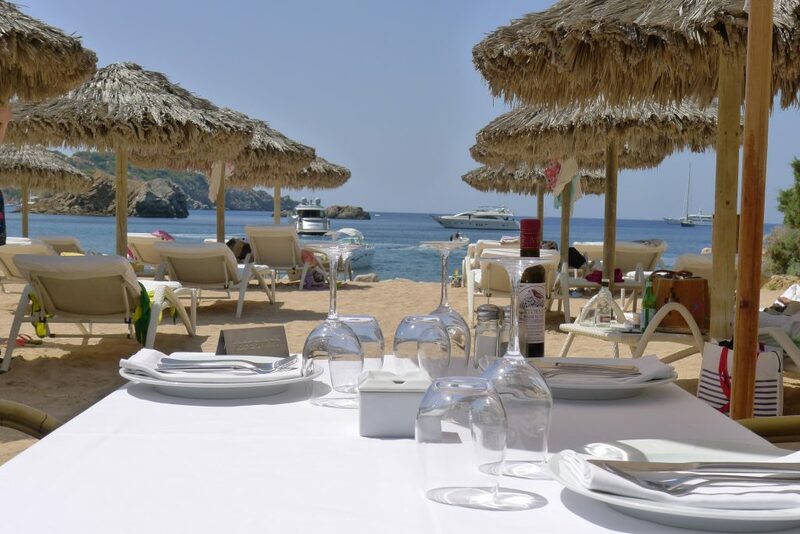 Have lunch between one and four; relax on the beach before and after.